Attention Investors! 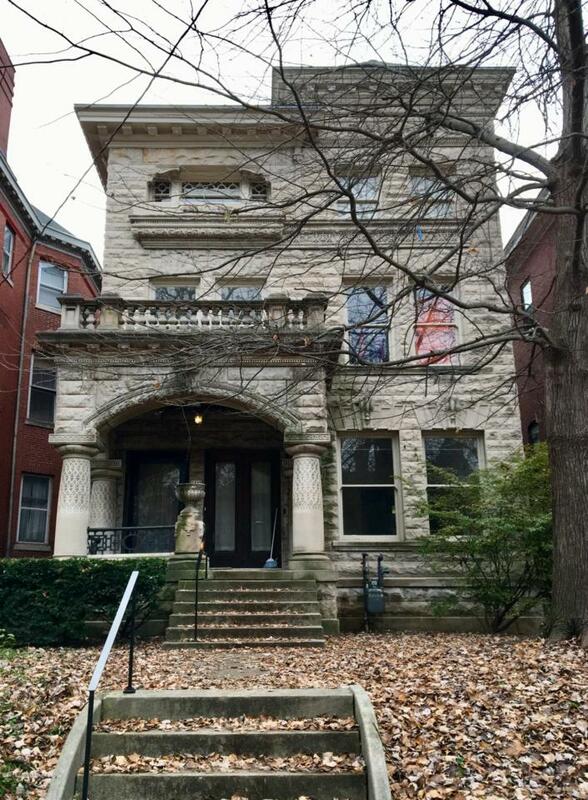 This beauty is located on Millionaires Row in Historic Old Louisville. Offering 10 rental units which includes 2 units located in the lower level of the main building, 6 units above grade in the main building and 2 units in the rear carriage house. The facade of the grand mansion offers original honed stone, the interior still offers many of it's original features such as natural millwork, inlaid hardwood floors, pocket doors and stained-glass windows. The main building had $40,000 in exterior repairs done last summer including repairs to box gutters, exterior repairs to soffits, cornice, window sills and 2 coats of Sherman Williams Premium Exterior Paint. With a bit of updating to the individual units the rents could be increased. Tenants love the fact that allthat all their utilities are included in their rent and will generally pay higher rents knowing that they don't have to deal with utility expenses. Please see the attached rent roll for current rents along with the invoice detailing repairs made last year by a Historical Preservation Specialist, Joseph Sena, Inc. With all the historic character this would also be a great property to bring back to a single-family home or create a lovely owner's unit.